The m onsoon is long gone and the land has been drying out for a month or more. In the searing heat of late summer and early autumn, water sources begin to disappear and it’s at this time of the year that tigers start to roam the jungles of central India in search of life-giving springs and vanishing streams. The national parks, closed during the summer months, are opening again for the winter season. Now is the ideal moment to book your holiday to India and head to the wilderness areas to search for the magnificent Bengal Tiger. The long-term future of this beautiful predator is threatened by poaching, interaction with human settlement and loss of habitat, but there are still excellent opportunities to see tigers in the wild in India’s top national parks, and World Discovery has a selection of safaris for you to consider. Top-of-the-range is the ‘Luxury Tiger Safari’, using the superb lodges run by Taj Hotels in collaboration with the worldwide safari experts &Beyond, setting new standards of wildlife accommodation and expertise on the Indian sub-continent. Visiting the same national parks but at a more affordable price (but still offering a very high standard) are lodges of Pugdundee Safaris, which are featured on our ‘Wildlife of India’ tour. If you want to combine a visit to the Taj Mahal and the ‘Golden Triangle’ with a tiger safari, then you should consider our ‘Palaces and Tigers’ tour, which includes 3 nights in the popular Ranthambore National Park, where tiger sightings are at a premium. 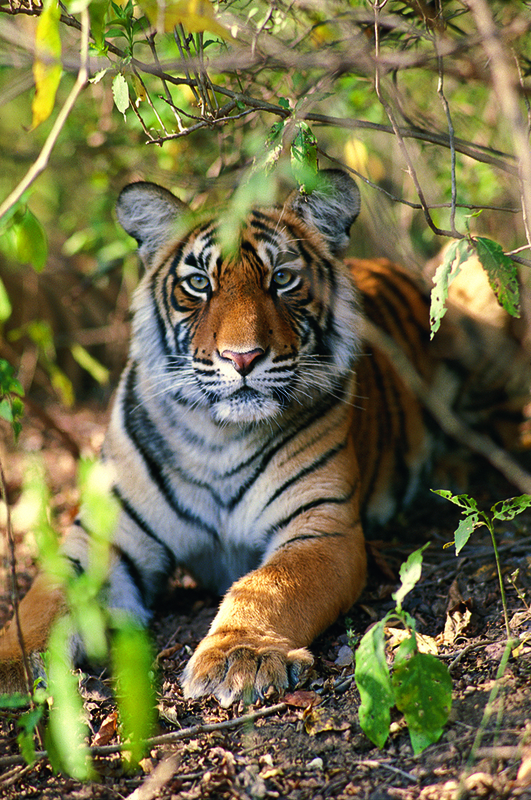 As part of World Discovery’s commitment to responsible tourism practices, we are International Tour Operator members of the Travel Operators for Tigers campaign (TOFT). For further details please view this website : www.toftigers.org. If you want to personally get involved with TOFT, you may wish to consider joining ‘Tiger Nation’. This people-powered platform aims to increase our knowledge of individual tigers in India’s best parks, and helps keep a living database through visitors’ photographs.